SISSTER wows LA at the release party for her debut self-titled EP; San Diego’s is next, then the world! 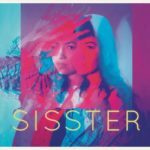 Home » Culture » SISSTER wows LA at the release party for her debut self-titled EP; San Diego’s is next, then the world! 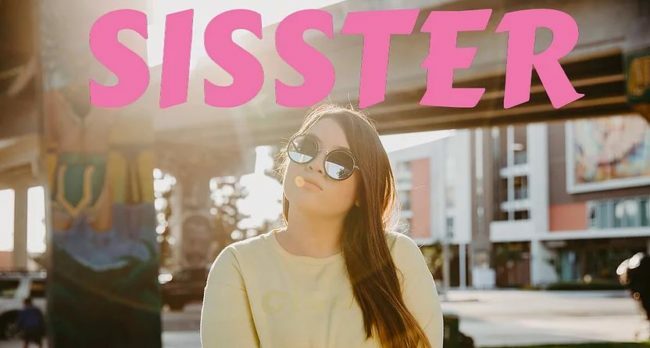 SISSTER wowed an LA audience when she released her self-titled EP last week and demonstrated why she is so popular and so beloved. You could feel the love in the air at the Sunset Blvd multi-venue Los Globos when SISSTER strode onstage. Barely reaching my chin but with the power to fill a room with sound, the brilliant soloist, singer and composer from Chula Vista, California, blew the roof off of the club as she belted, wailed, and sailed through a kinetic nine-song set list and then came back for an encore. Bounding onstage in a silver hoody and positioning herself in front of a huge neon projection of her logo, SISSTER started the party with a jolt, ringing out “Give Me your Heart” in English to a powerful high tempo kick drum beat, synth riffs and background-building base chords. Clapping over her head, she got the room moving right off the bat before throwing back the hood and belting with her aggressive soprano voice, shaking her head back and forth to urgency of the pounding drums. After giving onstage shout outs to the team that produced the concert, she moved to the keyboard, set up a slower pace and more personal tone, then took the mic from the stand to step and sway to “Arriba Abajo”. Switching back to English for the more melodic and poetic “Bigger than the Dream” from the EP she wove back and forth around the pink flowers decorating her mic stand, grinning through the entire song along with her audience.